Reba/Rocco puppies!!!!! Born on 4/23/2012!!!!! Attention If you are interested In one of my future rottweiler litters, please go through the whole website. Especially read before calling page. Handling class schedule is up for March and April!!! My successes in handling are based on knowing the temperament of each of my clients dogs. This is one of the things that set me apart from other handlers. I have trained many dogs in the sport of Schutzhund. I have extensive years of study thru education, reading and training. 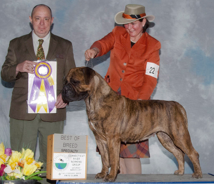 I have shown and finished multi-breeds to there conformation championship titles. 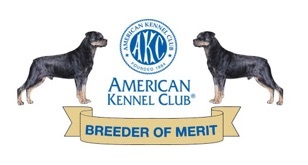 I have also been awarded Multi-Best in Show and Top Ten Standings with Bullmastiff’s, Great Pyrenees, Rottweilers, Rhodesian Ridgebacks, and Belgian Tervuren’s!